In the presence of adequate protein and calories, Boldabol promotes body tissue building processes and can reverse catabolism. As these agents are either derived from or are closely related to testosterone, the anabolics have varying degrees of androgenic effect. 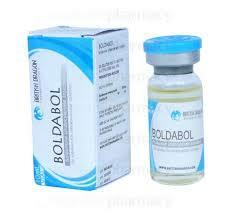 Boldabol, as well as other anabolic steroids can also stimulate erythropoisis. The mechanism for this effect may occur by stimulating erythropoeitic stimulating factor. Anabolics can cause nitrogen, sodium, potassium and phosphorus retention and decrease the urinary excretion of calcium. Equipoise® is the popularly referenced brand name for the veterinary injectable steroid boldenone undecylenate. Specifically it is a derivative of testosterone, which exhibits strong anabolic and moderately androgenic properties. The undecylenate ester greatly extends the activity of the drug (the undecylenate ester is only one carbon atom longer than decanoate), so that clinically injections would need to be repeated every three or four weeks. In veterinary medicine Equipoise© is most commonly used on horses, exhibiting a pronounced effect on lean bodyweight, appetite and general disposition of the animal. This compound is also said to shows a marked ability for increasing red blood cell production, although there should be no confusion that this is an effect characteristic of newly all anabolic/androgenic steroids. The favorable properties of this drug are greatly appreciated by athletes, Equipoise® being a very popular injectable in recent years. It is considered by many to be a stronger, slightly more androgenic Deca-Durabolin®. It is generally cheaper, and could replace Deca in most cycles without greatly changing the end result. The side effects associated with Equipoise® are generally mild. The structure of boldenone does allow it to convert into estrogen, but it does not have an extremely high affinity to do so. To try and quantify this we can look toward aromatization studies, which suggest that its rate of estrogen conversion should be roughly half that of testosterone’s. 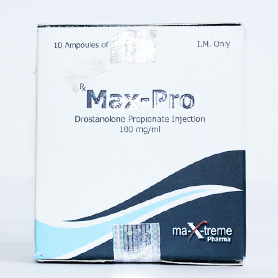 The tendency to develop a noticeable amount of water retention with this drug would therefore be slightly higher than that with Deca-DurabolinO (with an estimated 20°/a conversion), but much less than what would be expected with a stronger agent such as Testosterone. While one does still have a chance of encountering an estrogen related side effect as such when using this substance, it is not a common problem when taken at a moderate dosage level. Gynecomastia might theoretically become a concern, but is usually only heaved of with very sensitive individuals or (again) those venturing high in dosage. Should estrogenic effects become troublesome, the addition of Nolvadex® and/or Proviron® should of course make the cycle more tolerable. An antiaromatase such as Cytadren® or Arimidex® would be stronger options, however probably not indicated with a mild drug as such. Equipoise® can also produce distinct androgenic side effects. Incidences of oily skin, acne, increased aggression and hair loss are likewise all possible with this compound, although will typically be related to the use of higher doses. Women in fact find this drug quite comfortable, virilization symptoms usually unseen when taken at low doses. Boldenone does reduce to a more potent androgen (dihydroboldenone) via the 5alpha reductase enzyme (which produces DHT from testosterone), however its affinity for this interaction in the human body is low to nonexistent”. We therefore cannot consider the reductase inhibitor Proscar® to be of much use with Equipoise, as it would be blocking what is at best an insignificant path of metabolism for the steroid. And although this drug is relatively mild, it may still have a depressive effect on endogenous testosterone levels. A combination of HCG and Clomid®/Nolvadex® may likewise be needed at the conclusion of each cycle to avoid a “crash”, particularly when running long in duration. Although it stays active for a much longer time, Equipoise® is injected at least once per week by athletes. It is most commonly used at a dosage of 200-400mg (4-8 ml, 50mg version) per week for men, 50-75 mg per week for women. Should a 25mg version be the only product available, the injection volume can become quite uncomfortable. The dosage schedule can be further divided, perhaps injections given every other day to reduce discomfort. One should also take caution to rotate injection sites regularly, so as to avoid irritation or infection. Should too large an oil volume be injected into one site, an abscess may form that requires surgical draining. To avoid such a problem, athletes will usually limit each injection to 3ml and reuse each site no more than once per week, preferably every other week. With Equipoise® this may require using not only the gluteus, but also the outer thighs for an injection site. 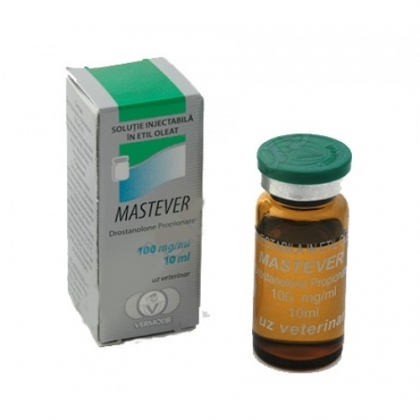 Of course all problems associated with 25mg and 50mg dosed products are eliminated with the newer 100 mg and 200mg/ml versions of this steroid, which clearly give the user much more dosage freedom and injection comfort. Not a rapid mass builder, instead Equipoise® will be looked at to provide a slow but steady gain of strength and quality muscle mass. The most positive effects of this drug are seen when it is used for longer cycles, usually lasting more than 8-10 weeks in duration. The muscle gained should not be the smooth bulk seen with androgens, but very defined and solid. Since water bloat is not contributing greatly to the diameter of the muscle, much of the size gained on a cycle of Equipoise® can be retained after the drug has been discontinued. It is interesting to note that structurally Equipoise® and the classic bulking drug Dianabol are almost identical. In the case of Equipoise® the compound uses a l7beta ester (undecylenate), while Dianabol is 17 alpha alkylated. Aside from this the molecules are the same. Of course they act quite differently in the body, which goes to show the 17-methylation effects more than just the oral efficacy of a steroid. As discussed earlier, Equipoise® is a very versatile compound. We can create a number of drug combinations with it depending on the desired result. 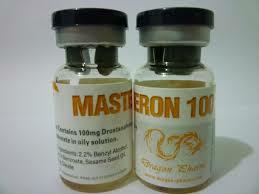 For mass, one may want to stack it with Anadrol 50®(oxymetholone) or an injectable testosterone such as Sustanon 250. The result should be an incredible gain of muscle size and strength, without the same intensity of side effects if using the androgen (at a higher dose) alone. During a cutting phase, muscle hardness and density can be greatly improved when combining Equipoise® with a non-aromatizable steroid such as trenbolone acetate, Proviron® (mesterolone; 1-methyl DHT), Halotestin® (fluoxymesterone), or Winstrol® (stanozolol). For some however, even the low buildup of estrogen associated with this compound is enough to relegate its use to bulking cycles only.